Before we went out for a day tour, my tita suggested that we buy local food at the nearby mall so we can get familiar with Malay food. Since it was Ramadan, we thought that it would be better if we order for take-out. It was Friday, and shops will be closing from 12noon to 2pm. The place was practically empty when we arrived. One customer arrived soon after to order food for takeout. 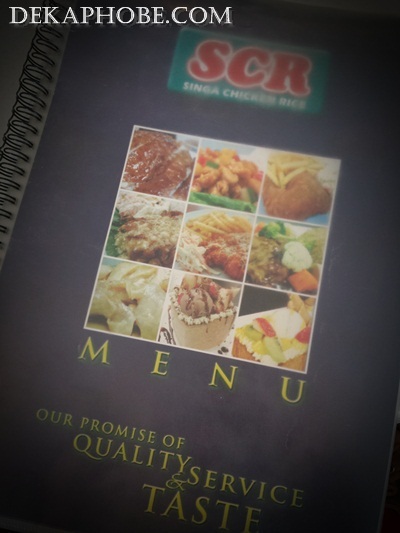 SCR is a restaurant chain with outlets in East Malaysia and Brunei. 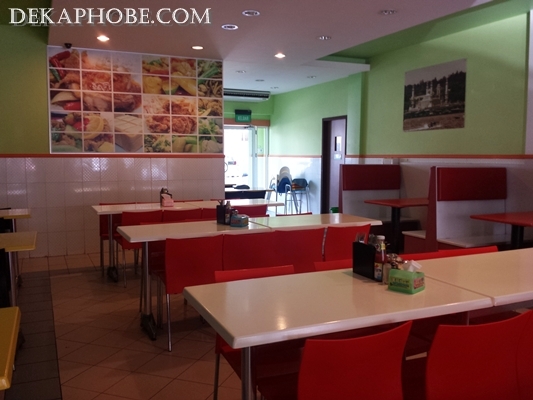 They serve mostly chicken dishes, noodles and some Western dishes. We had Roast Chicken with Rice (B$ 3.50) and Steam Chicken with Rice (B$ 3.50). Singaporean food is closely associated with Malay cuisine so it wasn't unusual to see chicken rice on the menu. I prefer the steamed chicken most of the time but this time I liked the roast chicken more. Ayam Penyet means "smashed chicken", and of Indonesian origin. It is served with cucumber and sambal. For noodles, we had Fried Kueh Tiaw Seafood (B$ 5) and Fried Mee Mamak (B$ 5). I've tried Kueh Tiaw (also known as Char Kway Teow in Singaporean restaurants) here in Manila, but this one is unforgettable. Maybe it's just my preference for anything sweet and salty, but I really liked this. Fried Mee Mamak is the Indian-Muslim Hokkien, a bit spicy but still good. Nothing special about this though, it's quite similar to chop suey. Overall, the food was delicious and the servings were humongous. We were kinda tempted to order more because we thought it wouldn't be enough for the platoon, turns out that it was too much for us. My first thought when I saw the mixed vegetable seafood. It looked like chopsuey. So each serving of chicken here is more than enough for one person? Mau Box Makanan untuk ayam penyet, pilih take away Greenpack aja. Terbuat dari kertas food grade dan ramah lingkungan. Foodgasm III: Triple The Flavor on August 31!